“No restrictions were imposed on Duritskaya and no personal documents, including the passport, were confiscated from her. No one was holding Duritskaya in the Russian Federation against her will,” Markin said. “The investigator has not received any complaints or petitions either from Duritskaya or her lawyer. When speaking to the investigator, Duritskaya did not mention any plans to leave the territory of Moscow,” he said. “Furthermore, realizing the great importance of the recent events, Durytska said that she would stay in Moscow for as long as necessary in order to take all investigative measures with her participation,” he said. “Duritskaya left Russia only today, after these investigative measures were completed. But she intends to continue to cooperate with the investigation and will meet with investigators for further investigative measures, should such a need arise,” Markin said. 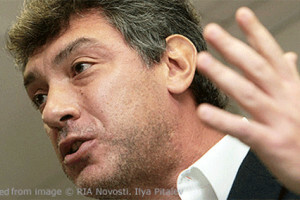 The criminal inquiry into Nemtsov’s killing continues, he said. “All motives behind the murder are being examined and vigorous investigative measures are under way. Witnesses are being questioned. CCTV footage has already been examined, material evidence has been confiscated and analyzed, and a series of forensic examinations have been ordered, including ballistic, trace evidence, medical and other tests,” Markin said. “Anna Duritskaya is not just one of the key witnesses of Boris Nemtsov’s murder, but she immediately saw the events. That is why I do not need to explain how important her testimony is for solving this crime,” Markin said. “Russia’s Code of Criminal Procedure defines a witness as a person who may know some circumstances that are crucial to a criminal investigation,” he said. “Also, I would like to note that investigators suggested placing Duritskaya under witness protection, but she refused. Following her request, her lawyer was allowed to be present during investigative measures with her participation,” Markin said.